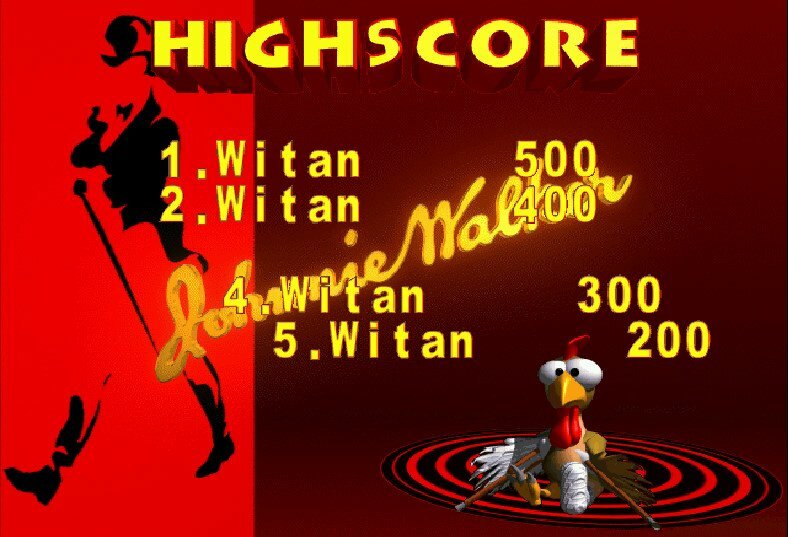 Keep walking, and shooting chickens. 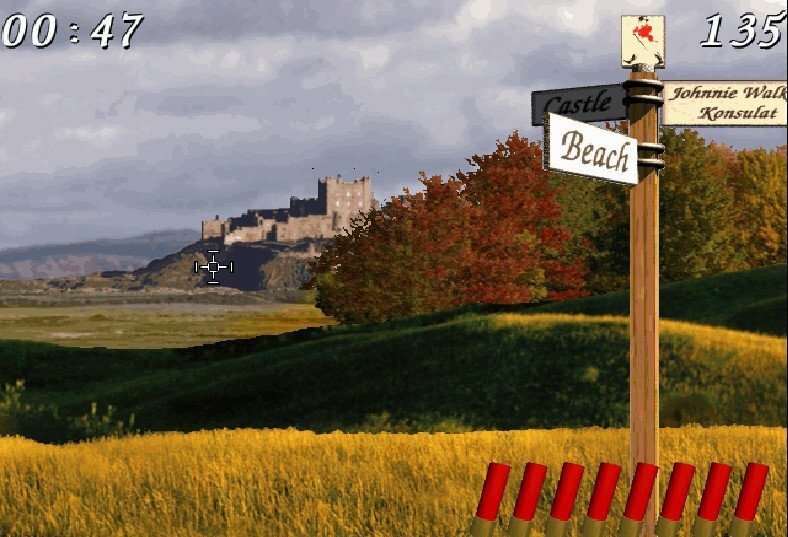 Essentially a free advertising game for Johnnie Walker (the brand of Scottish whiskey), Moorhuhnjagd (aka Crazy Chicken) contains but one side-scrolling level of what is presumably the Scottish countryside. You scroll left and right, armed with a shotgun, hunting for chickens (or grouse, if you have to be super technical). 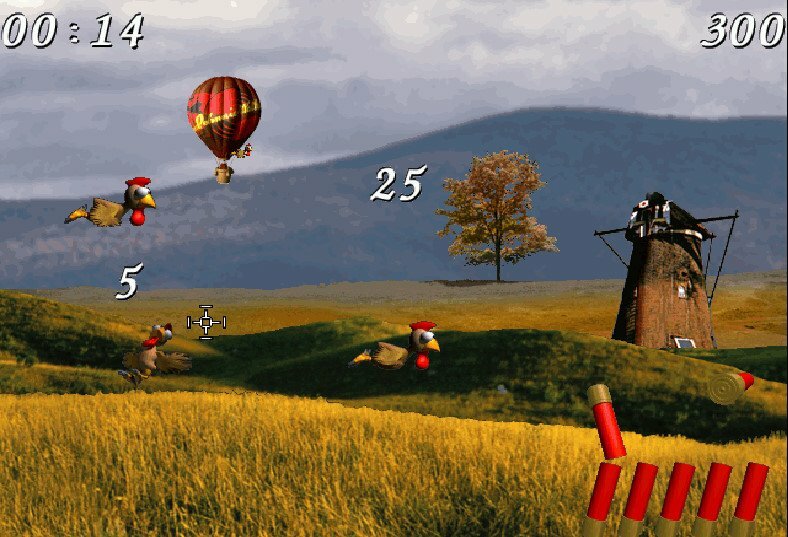 There’s a time limit to keep track of, bonus points for hitting special targets, and penalties for shooting at non-chicken related objects like passing planes or balloons. 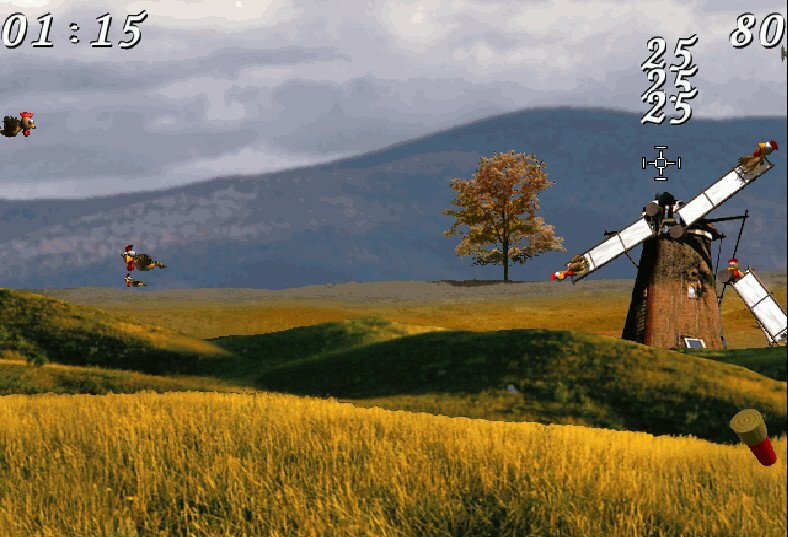 The only reason to hate this game is that it’s not a full-priced product packaged with more levels, weapons and targets! 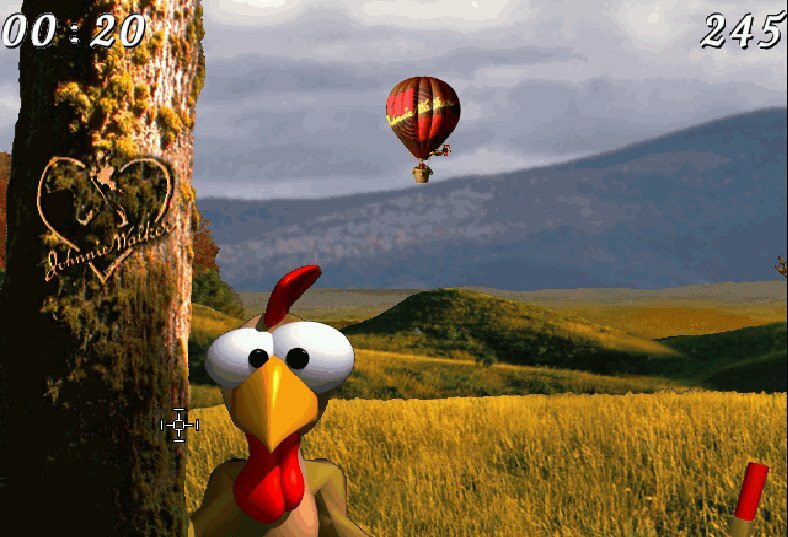 The static art is superb, the goofy-looking chickens are almost too endearing to shoot at, and the gameplay is simple yet fun. But with only one level, you’ve pretty much experienced everything this quirky shooter has on offer within the first five minutes.